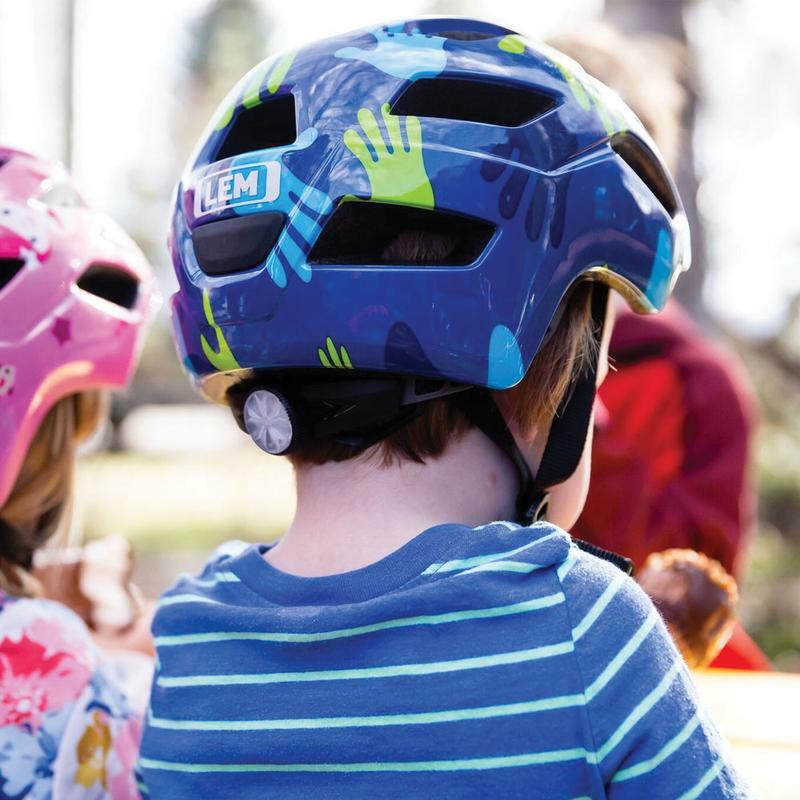 There will soon be yet another option for parents shopping for a good bike helmet for their kids. 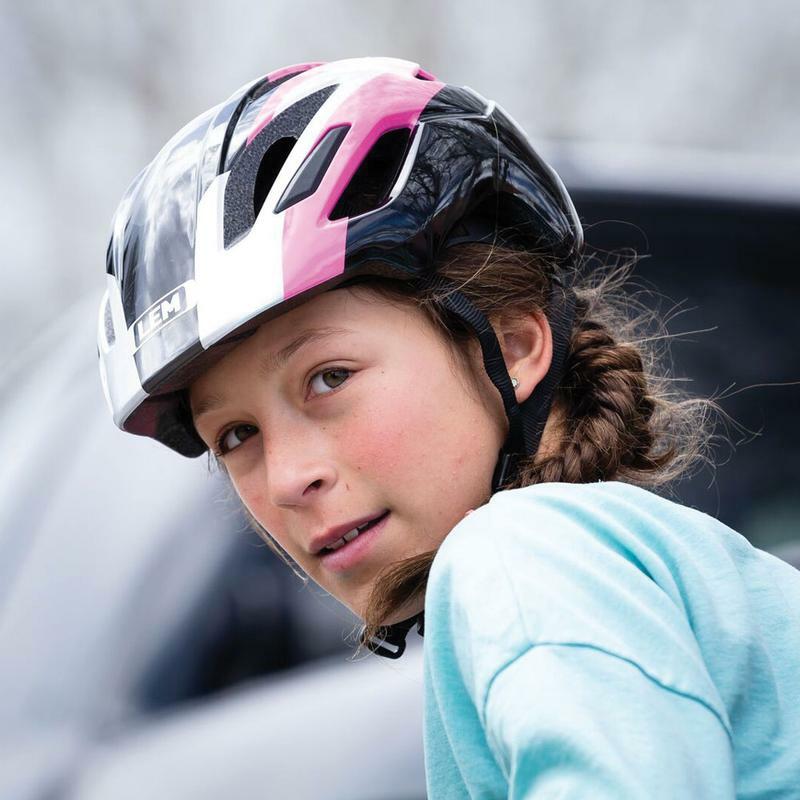 LEM, an Italian brand known for their motorcycle helmets, just announced the release of a line of bicycle helmets in North America. In addition to adult helmets, they will also be offering two children’s helmets. The Lil’ Champ is their toddler offering, while the Scout is their helmet for school-aged kids. Both appear to be essentially the same helmet, just in different sizes and color schemes. The Lil’ Champ fits heads between 48 cm and 52 cm in circumference, and the Scout fits heads 52 cm to 57 cm. There are a couple items that appear to be worth mentioning. The helmet has a LED light on the rear to help aid in visibility and is something we haven’t seen on a kids bike helmet before. The helmets also have a “BugOut™” liner to help keep critters from flying in. (If you’ve never had this happen, it’s a serious thing). A couple of noticeable things that the helmets don’t have: MIPS technology, a removable visor, or a magnetic buckle. None of these things are deal breakers of course but are nice-to-have on kids bike helmets. Both helmets will retail for $40 which is a comparable price to the non-MIPS versions of helmets like the Bell Sidetrack and the Giro Scamp. They will be sold direct-to-consumer through the LEM website and plans to expand to dealer sales later in the year.